Now before I crack out a major haul post, I wanted to just spend some time talking to you about new loves in my life. Unfortunately they are not members of One Direction, or handsome men (oh cry) but who needs men when you have beautiful beauty products right ? 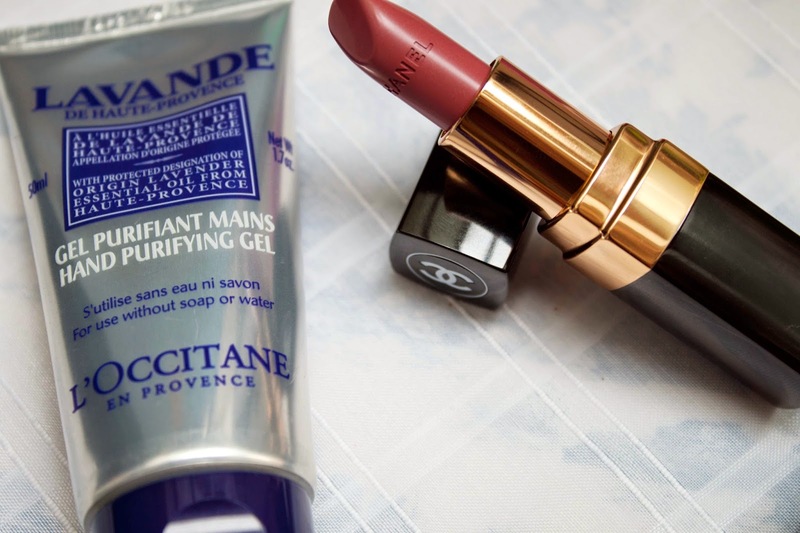 A little recent treat came my way in the form of the Chanel Coco Rouge Lipstick and a L’Occitane Lavender Hand Purifying Gel which smells like heaven and calm. 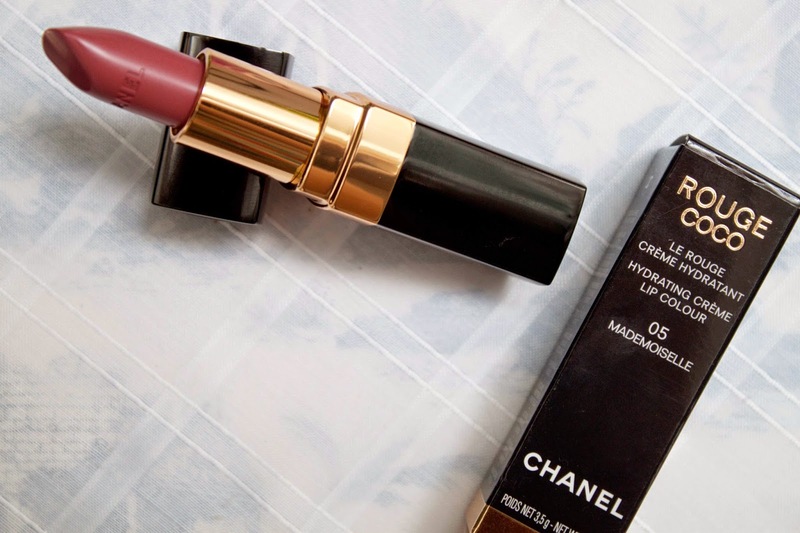 Before I go into how great the Chanel Coco Rouge Lipstick in Mademoiselle (£25) is, I have to tell you that I ended up unintentionally buying the same shade as my mum – some things just are in the genes. But obviously that means it’s a really good all round shade which I can confirm it is. Praise Chanel. Even though these lipsticks have been around a while, there’s no harm in repeating the facts – a classic, luxury case with 8-hour longevity to hydrate with great pigmentation. The formula is gorgeous, it isn’t too shiny or creamy, but not a full-on matte finish which makes it’s longevity very good. I would describe the colour on me as ‘your lips but better darker’ as it looks quite natural but the brown/pink tones make it more glamorous. I can throw this on day or night and it’ll always work, a definite must for any beauty collection. My hands are quite sensitive and tend to react easily to stress and different materials, plus I like clean hands so this often ends up in more aggrevation. Using a hand sanitizer is always quick but the chemicals make my hands go crazy, so I switched to this L’Occitane gel which smells amazing – Lavender scented – and is full of natural products which soothe and clean my hands of all the daily grime. At £8, it’s not bad and I don’t know if it’s just my bottle but I have to shake it to loosen up the gel, and when I squeeze it it feels like it’s about to burst but the product is quite gunky (that’s the closest word I can use) and cloggs together. I’m really not selling it here, but it is honestly is a great product. You can only squeeze a bit out at a time, but a bit is all you need. All in all, a successful selection of treats I’m able to use daily. I’m thinking of another cheeky haul soon, whatcha think ? Have you had any new goodies ?